WILD THING, Amazing Log Cabin near Mills Park & Community Center in Gatlinburg, Tennessee. This amazing one bedroom log studio home is just a short walk from the Gatlinburg Community Center, Mills Park, and Rocky Top Sports Complex which offers many activities including an indoor junior Olympic swimming pool, 8 bowling lanes, 4 racquetball courts, walking track, pool tables and much more. 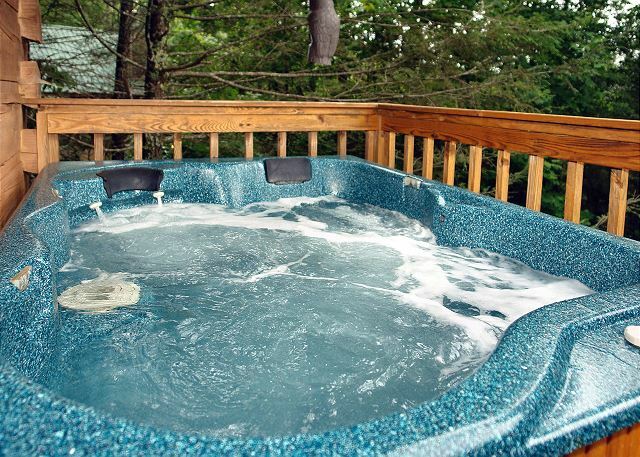 Drift away to the sounds of nature in your hot tub after a day of hiking or relax indoors in your jetted tub for two while gazing at a beautiful fire. Either way, begin your Smoky Mountain vacation in the ultimate romantic getaway cabin, Wild Thing! 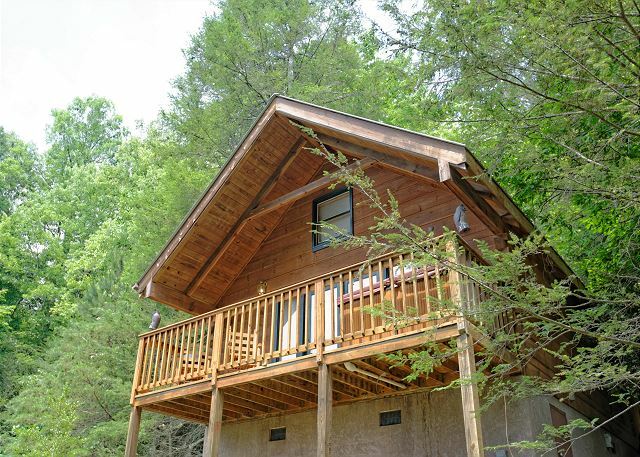 This cabin is a short walk also to the new Sports Complex in Gatlinburg, Rocky Top. Relax near Greenbriar, the National Park, & Downtown Foxy Lady today! Pet-friendly. Must register pet at time of booking. Sorry, no smoking. 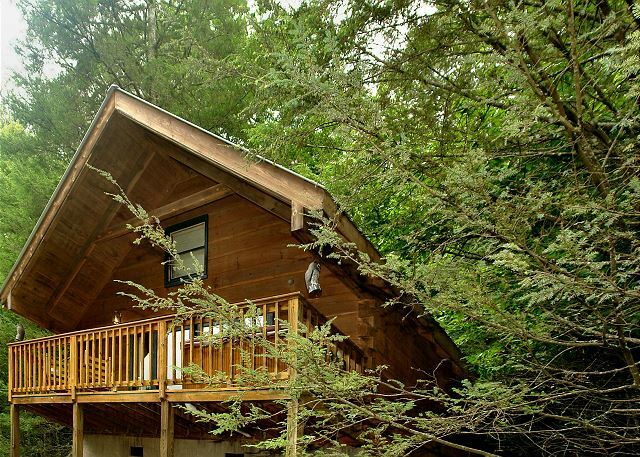 Reserve Wild Thing cabin for the ultimate Smoky Mountain getaway!